Dar es Salaam. 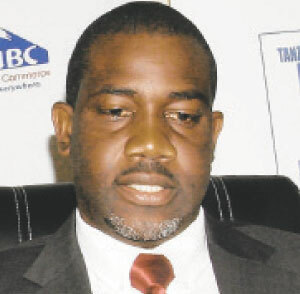 The managing director of National Bank of Commerce (NBC), Mr Lawrence Mafuru, has resigned from the financial institution to which he had been reinstated about two months after a three-month suspension spell. Mr Mafuru told The Citizen yesterday that his resignation starts effective December 24 as he looks for other opportunities. The head of Marketing, Communications and Corporate Affairs at NBC, Ms Mwinda Kiula-Mfugale , confirmed to The Citizen that it was true that Mr Mafuru has resigned, but said she would issue a statement only after getting instructions from the board of directors. Mr Mafuru was appointed managing director of one of the largest financial service providers in Tanzania in June 2010, succeeding Mr Christo de Vries from South Africa. NBC is one of the oldest banks in Tanzania, tracing its origins to 1967 when the government nationalised financial institutions, including banks, before the banking industry was deregulated in 1991. In 1997, NBC was split into three separate entities – NBC Holding Corporation, National Microfinance Bank (NMB) and NBC (1997) Limited. In 2000, South Africa’s Absa Group Limited acquired a majority stake in NBC (1997) Limited. The government retained 30 per cent shareholding and the International Finance Corporation (IFC), a member of the World Bank Group, took a 15 per cent stake.